LOUISVILLE, Ky. (January 29, 2019) – With the re-opening of the downtown convention center, additional hotel room inventory- including 600 rooms from the new Louisville Omni- and well as additional urban distilleries open in the Bourbon District, the tourism industry is welcoming a growing number of annual visitors to Louisville in 2019 and beyond. 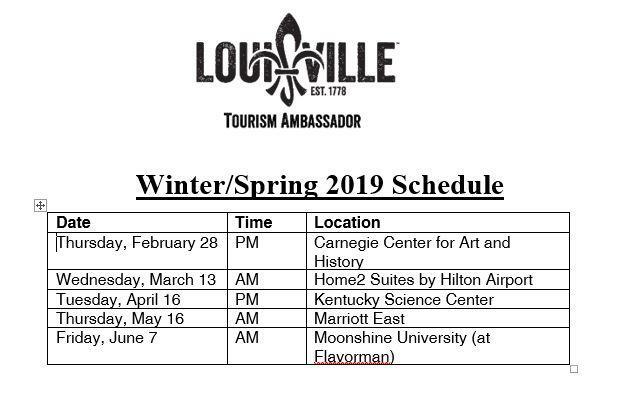 In a regional collaboration with the Southern Indiana Convention and Tourism Bureau, Louisville Tourism continues its involvement in the nationally-recognized Certified Tourism Ambassador™ (CTA) Network and announces the winter/spring schedule of classes. What is the CTA Program? 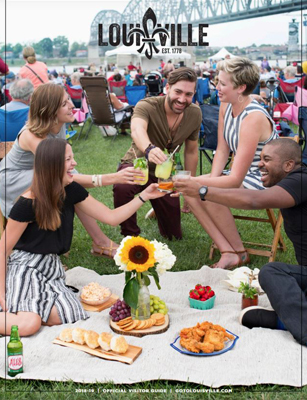 This is a nationally recognized certification program that serves to increase regional tourism by inspiring front-line hospitality employees and volunteers to turn every visitor encounter into a positive experience. How can I participate in the CTA Program? Pre-class reading material with content on tourism, the history and culture of the Louisville area, and customer service. Brief exercises related to the pre-reading to be completed prior to the class. A reserved spot in a required 4-hour CTA interactive class and exam. How do I sign up to become a CTA and see the upcoming schedule?